The mission of the Lake Erie College of Osteopathic Medicine (LECOM) is to prepare students to become osteopathic physicians, pharmacy practitioners, and dentists through programs of excellence in education, research, clinical care, and community service to enhance the quality of life through improved health for all humanity. The professional programs are dedicated to serve all students through innovative curriculum and the development of postdoctoral education and inter-professional experiences. 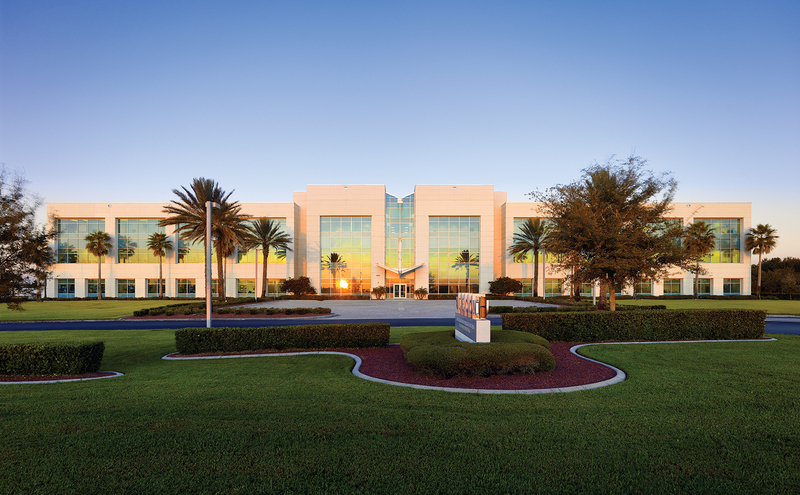 LECOM Bradenton is a branch campus of LECOM. 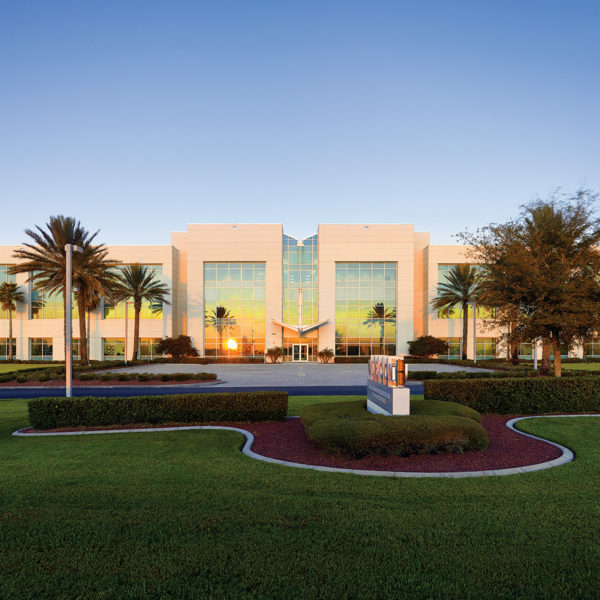 Located in Lakewood Ranch, a master-planned community near the Florida Gulf Coast, LECOM Bradenton provides students with an affordable, high quality education and offers the Doctor of Osteopathic Medicine and four master’s degrees. LECOM is the nation’s largest medical college and the only academic health center among the osteopathic colleges. With Millcreek Community Hospital and Medical Associates of Erie, the College is the core of LECOM Health, an innovative medical education and health care system. U.S. News & World Report ranks LECOM as the most applied to medical college in the country, among the top ten medical colleges who have the highest percentage of primary care physicians graduating each year and reports that the College offers one of the lowest tuitions among all private medical colleges in the United States. Diversity in Higher Education Magazine ranked LECOM #14 for the most diversity among doctorate granting institutions and the Masters in Health Services Administration was ranked #9 by TopMastersInHealthcare.com. Branch campus: Lake Erie College of Osteopathic Medicine is accredited by the Commission on Osteopathic College Accreditation (COCA) and by the Commission on Higher Education of the Middle States Association of Colleges and Schools. LECOM has designed a campus with the latest educational technology, where each and every detail lends itself to the mission of teaching students how to care for patients. Lecture halls use smart classroom technology, and smaller classrooms provide ideal environments for the small group, Problem-Based Learning meetings. The multipurpose labs and Standardized Patient Suite offers state-of-the-art teaching equipment for basic science and clinical studies. LECOM does not provide campus housing. The college assists students in securing appropriate housing within a close walk or commute to campus. LECOM Bradenton offers the Problem-Based Learning (PBL) pathway, which emphasizes self-directed study in small groups using a team approach through faculty-facilitated, patient-centered, case-based study. In years three and four, students complete clinical rotations at more than 90 hospitals and clinics throughout the United States, including regional clinical campuses in Pennsylvania, Florida, New York, and California. Baccalaureate/DO – LECOM offers Early Acceptance Programs with more than 100 undergraduate colleges and universities. Visit the LECOM website, lecom.edu for a listing of colleges and universities and details about the various programs. DO/MHSA – students may pursue the Masters in Health Services Administration through distance education in their third and fourth years. DO/MSMEd – students may pursue the Master of Science in Medical Education degree during their third and fourth years. Students may pursue the Master of Science in Biomedical Ethics degree during their third and fourth years. Prerequisites/Academic Qualifications: Applicants must earn an undergraduate degree from a regionally accredited college/university. The Master of Medical Science program is a 10-month, non-thesis degree program that prepares individuals for health science careers. The college admissions staff will guarantee an interview to students who successfully complete the program and meet all other admissions standards and requirements. 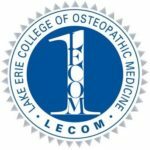 Individuals interested in applying to the Lake Erie College of Osteopathic Medicine for LECOM Bradenton must complete an online AACOMAS application and a LECOM Supplemental Application. Once LECOM receives the AACOMAS application, qualified applicants will receive an e-mail message providing information and instructions regarding how to complete the Supplemental Application. Applicants selected for a personal on-campus interview will be notified in writing from the Office of Admissions. Applicants are encouraged to submit their AACOMAS application materials early to ensure consideration for an interview. Applicants should submit applications no later than four weeks prior to the deadline. LECOM seeks candidates who exemplify the LECOM mission to prepare students to become competent osteopathic physicians who partner with their patients on the pathway to health and well-being. Applicants should not only demonstrate success in their science courses, but also have proven themselves as well-rounded individuals who have been successful overall in their academic careers. LECOM is also looking for students who meet the ethical and professional standards that the public expects of high quality health care professionals and who demonstrate an interest in community service and leadership. LECOM encourages applicants to learn more about the profession by getting to know an osteopathic physician. Receiving exposure to the osteopathic profession will enhance awareness of the osteopathic medical philosophy. Working with a physician will prepare the applicant for the required admissions interview. International students (non-U.S. citizens or non-permanent residents) will be considered on an individual basis. Non-U.S. citizens must provide documentation verifying that sufficient funds are available in a U.S. bank to cover all expenses to complete the program at LECOM and submit World Education Services (WES) transcript evaluations for all non-U.S. coursework. Additional requirements and information are available by contacting the Admissions Office. Qualified applicants will be notified to complete an online supplemental application and must submit the application fee at that time. LECOM requires a letter of recommendation from a premedical or pre-health committee or two letters from science professors from the applicant’s undergraduate or graduate institution. MCAT Scores are considered; in lieu of MCAT Scores, LECOM may use an Academic Index Score that uses undergraduate and graduate GPAs in a formula calculation with ACT and/or SAT Critical Reading and Math scores. Interviews are offered based on completion of the supplemental application. Screened applicants: Applicants must meet minimum GPA and MCAT requirements. LECOM uses a rolling admissions cycle and schedules applicant interviews July through April of the application year. Applicants are invited to campus for interviews held with basic science faculty, clinical faculty, and administrators. Applicants receive information about the curricular pathways available at LECOM, financial aid resources and procedures, research opportunities, clinical rotation sites, and internship/residency programs affiliated with LECOM. Applicants receive a tour of the campus and have lunch with current first- and second-year students. *May substitute biochemistry for 4 credits of organic chemistry. Those accepted July 1 through December 31 will have 30 days. Those accepted after May 1 will be asked for an immediate deposit and a response by email.